Java-Auto-Update and ConfigService Home - Open Source: Java-Auto-Update and ConfigService - Cantara Community Wiki for your Wiki! 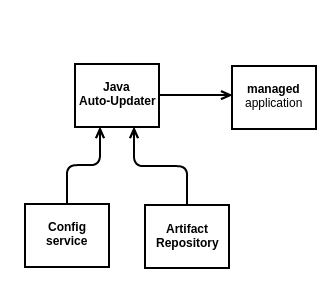 The goal of Java-Auto-Update and ConfigService is to provide the server-component of a controlled application instance regime, where both software upgrades and corresponding configurations of home-built java applications and services are managed. This should solve the update and configuration pain-point in micro-service architectures and for client installs of homegrown applications.